It's all about Windows, It's TalikngAboutWindows !!! It’s all about Windows, It’s TalikngAboutWindows !!! Eager to know about decisions regarding desktop user experience? Wanna have knowledge about Windows Peek? What is deployment ? And lots more…. All of IT Professional like us are very curious about such small and big things. So here is an oppurtunity to join the conversation about the next generation Operating System and connect with the people behind the code, and your peers. Simply ask them and make the decision yourself. 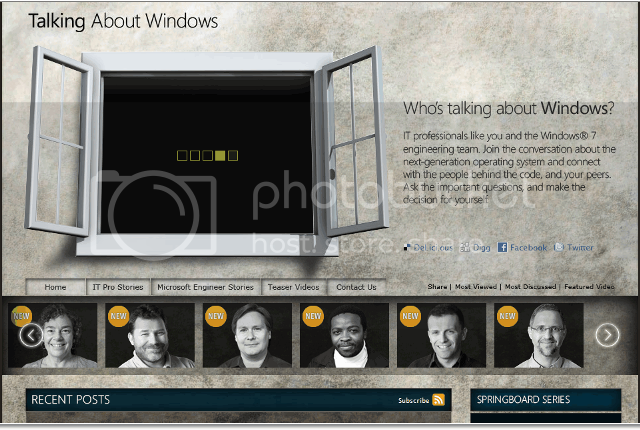 Microsoft is providing platform via “TalkingAboutWindows“.